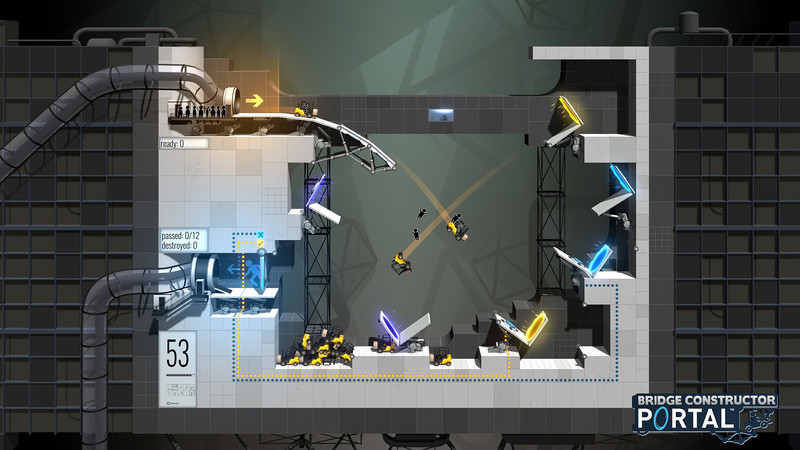 Bridge Constructor Portal is a mashup I didn't know I wanted. Whether it's a sign of more to come or merely an out-of-the-blue one-off, I'm surprised this game exists -- and also how much I like it. It borrows the ingenious puzzle mechanics of Portal and Portal 2, repurposing them for a physics-centric building game about (not so safely) escorting vehicles from one point to another. As long as the brave little stick figures complete their dangerous and often roundabout journeys, that's job well done. It's not like GLaDOS is going to judge you if they get a little banged up along the way. 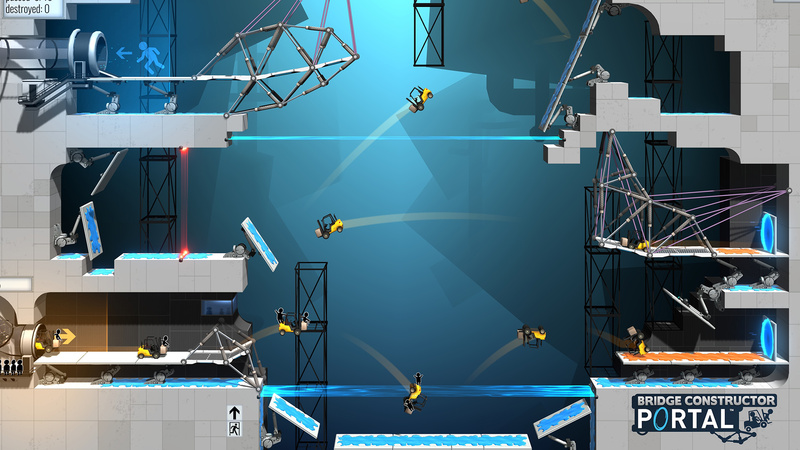 Whereas the Portal games had compelling stories to go along with their brilliant puzzle scenarios, Bridge Constructor Portal is straightforward. It's better thought of as a series of individual levels. 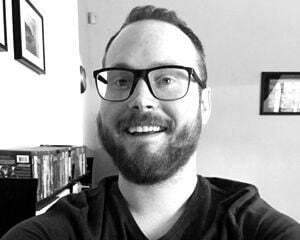 You'll get some Aperture Science window dressing here and there, and GLaDOS voice-overs help liven the place up, but don't expect much in the way of a story. It's more Bridge Constructor than Portal proper. If you don't have experience with one or both of these games, that won't be a problem -- it's intuitive. The room layouts and their components are all pre-set so, for instance, you won't have to figure out where to put portals. That's handled for you this time. All you're ever doing is adding onto a room by connecting pieces of scaffolding, road, and suspension wire together to create bridges, ramps, and other makeshift creations to help the autonomous vehicles get where they need to go. The construction process couldn't be any easier. And while the physics can get funky (which is sometimes beneficial, sometimes a pain, and almost always funny), there are clear visual cues to show exactly where your structures risk coming undone. Altering your designs to better support themselves and distribute weight is a cinch. Click, drag, snap, and you're done. I love the simplicity. Starting off, you'll just have to avoid pitfalls with toxic water and make sure your structures hold up. But further into the game's 60 levels, you might need to chart a course for vehicles to strategically avoid turrets until they can come back around and knock them out from behind; guide Companion Cubes onto switches; redirect energy pellets into receptacles; or bounce objects off gel-caked surfaces. If you're well acquainted with the Portal series, you'll rarely if ever be surprised by what you see here. It's also unlikely that you'll ever get "stuck" trying to find a "solution." Rather, this game is about fine-tuning. It's about getting everything situated just right, not a-ha moments. That isn't to say it's unsatisfying -- it feels tremendous to finally get your vehicle to the objective after fiddling with structures for far too long -- but it is a different experience than you'd associate with Valve's games. Even if the game doesn't bring anything wholly new to the table for Portal fans and it leans on some filler toward the end, on the whole, I had a darn good time with this spin-off.